This is a lovely plain Extra Long solid black or navy plus size skirt, available in size 1x 2x 3x 4x 5x or 6x, and are extra long at 39"!. 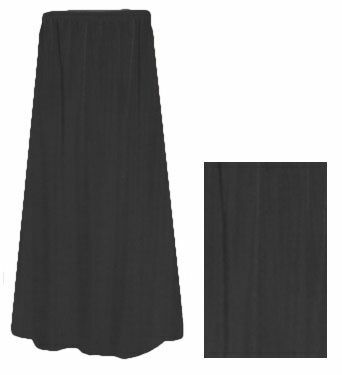 It has an elastic waist for extra comfort, and it has a wonderful drape! Machine-washable; poly/cotton knit; made in USA.